Despite suggestions in the Australian press, Phil Mickelson will not be remaining in Australia following the Presidents Cup to contest the Australian PGA Championship. The Australian PGA hinted it was striving to sign some of the game’s marquee players for the event to be played the week after the Presidents Cup commencing at Coolum on November 24. 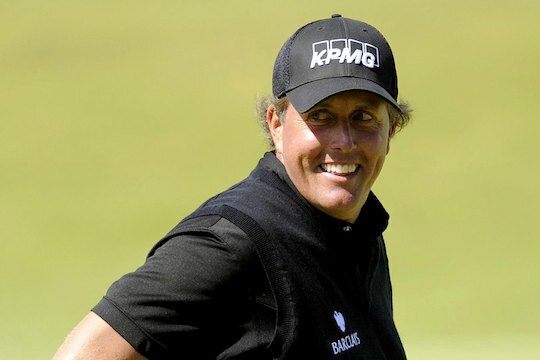 Mickelson, who will be contesting the Barclays Singapore Open the week prior the biannual USA versus International Team showdown, indicated he will be returning to the States following the event at Royal Melbourne. “I am playing the HSBC Champions in Shanghai two weeks before the Presidents Cup and then the Barclays Singapore Open the week prior before heading down to Melbourne,” he said. “So that is three weeks away for me and if were to play the Australian PGA then that would be four in a row. “So it would be dependant also on my kids’ ability to come out for a couple of weeks, as well, and I just can’t see how I can manage it. Australia’s biggest summer of golf ever?